Hope you like it and thank you for stopping by! Hm, te oblike pa še nisem videla. Čudovita idja. Tilda z zamjčom je res zelo prikupna. Absolutely stunning work. Thanks for joining us at Card Mania Challenges. Good luck and hope you'll join us again. Wwwauuuu....Mojca....čudovito si sestavila voščilnico. Izbrala si meni ljubke barve in oba motivčka super pobarvala ter okrasila z rožicami :)))) Notranjost je wwwwauuuu! Odlična ideja, te pa še nisem videla. Lepa postavitev in izbor barv; res je prav ljubka. Čudovita je, tako polna detailov in bogata. Zelo lepo in dodelano. Že sama fronta je čudovita, potem pa še presenečenje v notranjosti. Prvič vidim tako obliko voščilnice - je možno dobiti navodila? Fabulous. I love how the candles go into the cake. It's great. Wow,beautiful creation! I love design,papers,image and coloring! Thanks for playing at Card Mania Challenge and I hope to see again. This is so clever,Thanks for joining us at Creative Fingers & good luck. DT - Karen I adore this card! great card, love this little Tilda and really like how you made your easel card. Thanks for sharing with us at Totally Tilda and Friends. 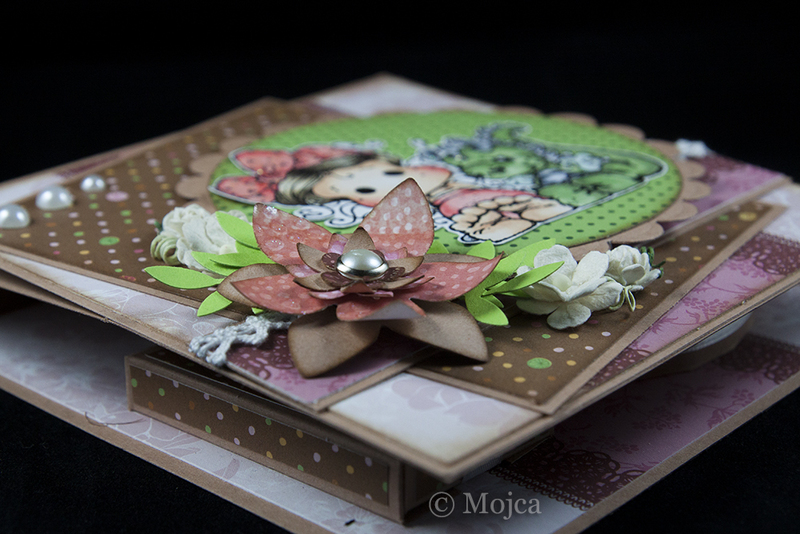 Beautiful birthday card Mojca, I love this design. Thanks for sharing at Simply Magnolia. Wonderful creation! Love the cute image! Thanks for joining us at Card Mania Challenges. Good luck! Super sweet Birthday easel Tilda card fab take on the chall. Thanks for sharing at Totally Tilda & Friends chall.